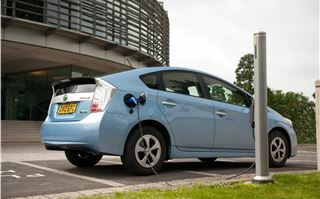 Manufacturers like Renault and Nissan are going down the full electric route, while Chevrolet and Vauxhall have started selling ‘range-extended electric vehicles.’ Toyota has decided to build on its already proven technology, with the launch of the Prius Plug-in Hybrid, which offers the same benefits as a regular hybrid Prius but with the advantage of an extended range on pure electricity. Previously the Prius could run on electricity only for about a mile before the engine kicked in. 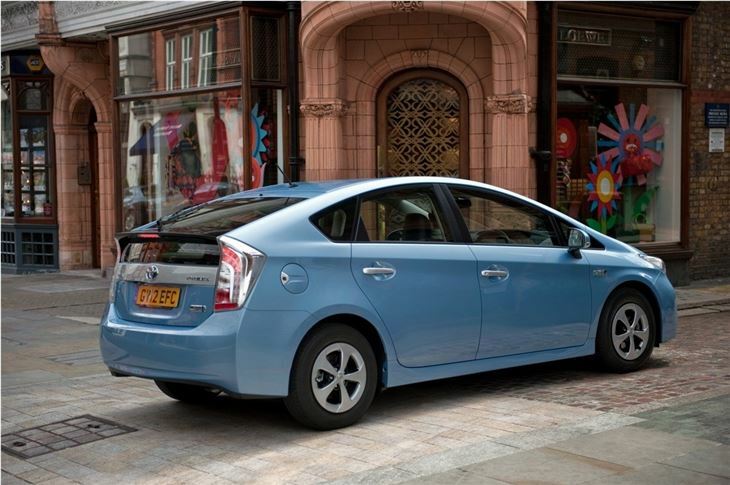 The Plug-in model can manage around 15.5 miles on electricity alone after a 90 minute charge. 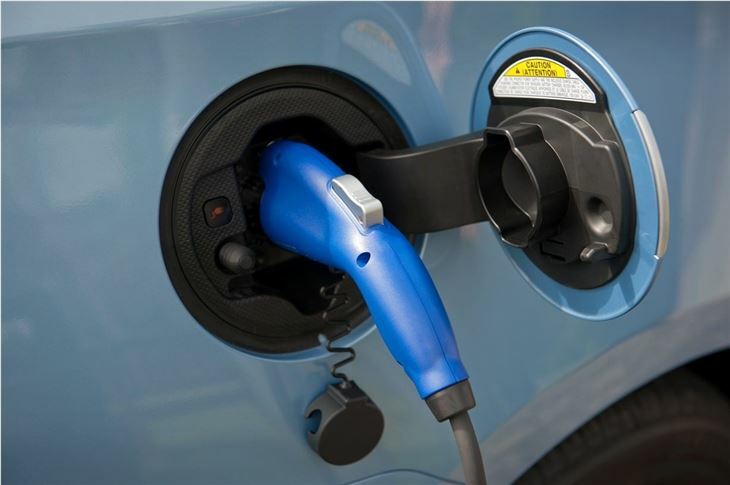 There’s no fast charge facility so that 90 minutes is from any supply rather than a dedicated high-output point. 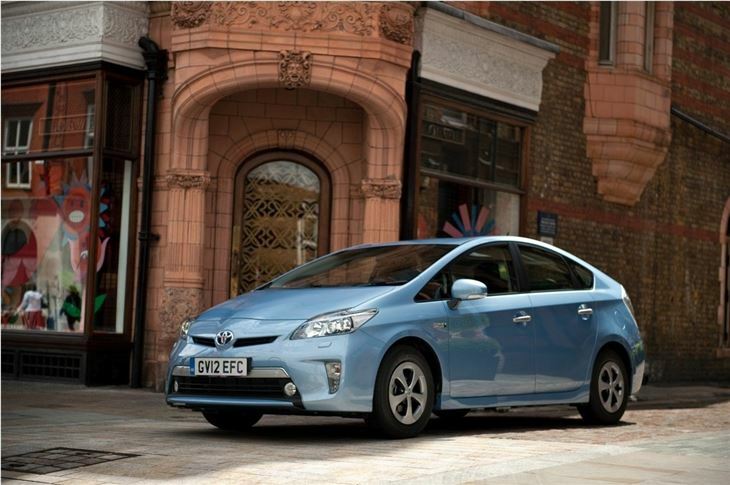 Toyota says this should be enough for most UK commutes, which seems realistic. 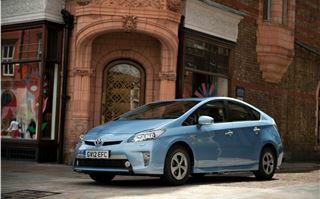 After the pure-electric range is depleted the car drives just like a normal hybrid Prius, with the range only limited by the amount of petrol in the tank. Because it can run on pure electric for a certain distance it scores an incredible claimed economy figure of 134.5mpg with just 49g/km CO2 emissions. It also qualifies for the lowest BIK rate for company cars. Performance is sill reasonable too with a 0-62mph acceleration of 10.7 seconds and a 112mph top speed. In practice it works quite well. 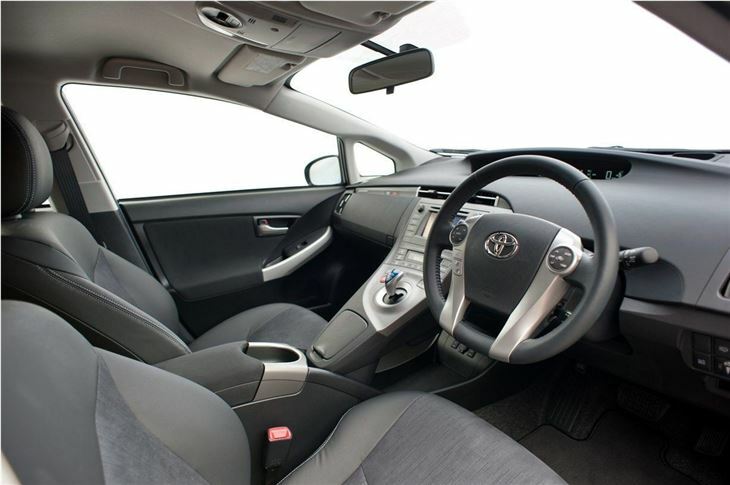 The Prius is a relaxing vehicle to drive. 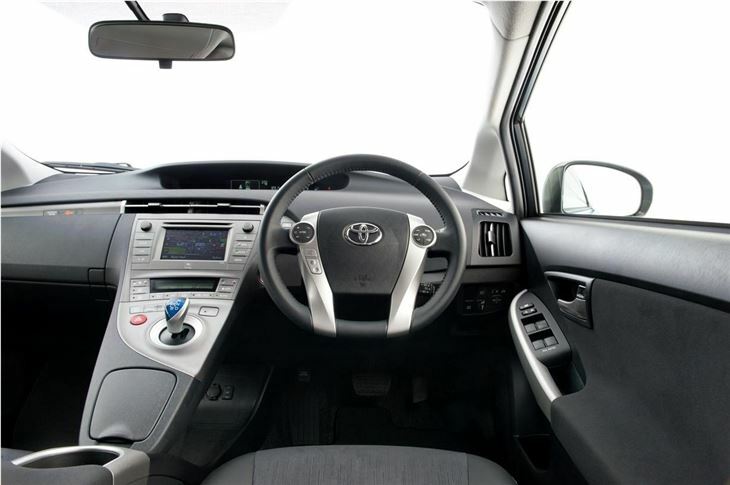 It doesn’t encourage eco driving by gimmicks on the dashboard, but instead delivers a comfortable environment that surreptitiously makes you drive more economically. In pure electric mode this is enhanced further because there’s no noise. It’s peaceful and the engine will only ever kick in if you accelerate hard. It'll also automatically switch on if you travel at above 50mph, regardless of the drive mode you're in. There are several modes to select – HV, EV and EV-City. The HV mode forces the Prius Plug-in to act like a ‘normal’ Prius, conserving its pure EV battery power for a more suitable time. This mode is ideal if you have a long motorway drive before you arrive in a city or town. 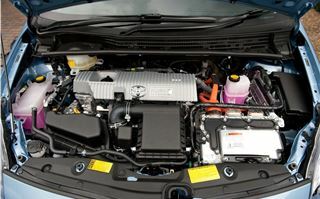 EV mode makes the car behave like a pure-electric vehicle, but the engine will still cut in if it's needed. 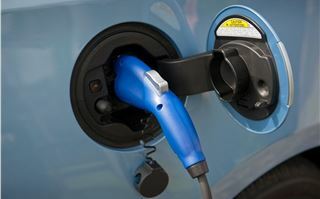 EV-City is fundamentally the same as EV mode but it prevents the engine from cutting in so quickly. 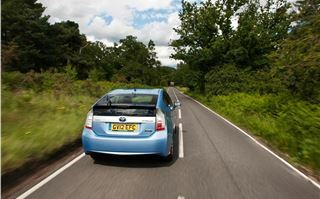 It’s primarily designed for proposed zero-emission areas, in which no internal combustion cars would be allowed. 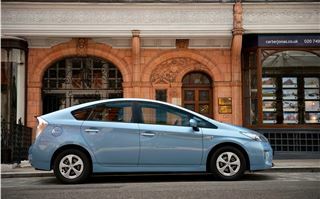 Besides the extended electric range, the Prius Plug-in is familiar. The boot is almost exactly the same size as a regular Prius, losing just four litres to a new battery, plus it has the same flat load area with no lip. There’s the same futuristic dash but it's made of quite hard and unpleasant plastics, however the quality of the finish is impressively good. Performance isn’t exhilarating, but it’s hardly expected to be in such a car. 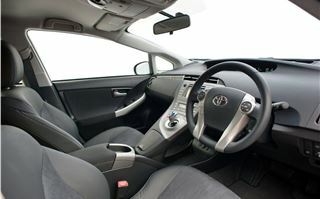 However the ride is comfortable and the handling is neat enough in corners. The Plug-in is slightly different to the rest of the range in terms of styling. 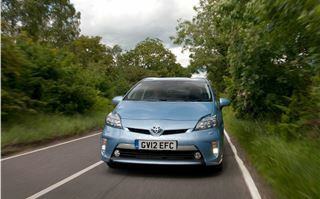 It has a slightly different grille, tweaked tail lights and an extra filler-flap to cover the charging point. However the big differences are under the metal. 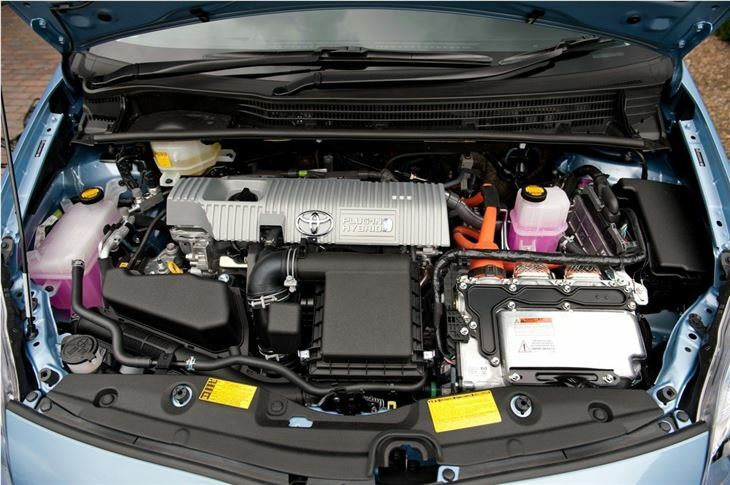 There is now a Lithium-Ion battery instead of the usual Nickel based one. 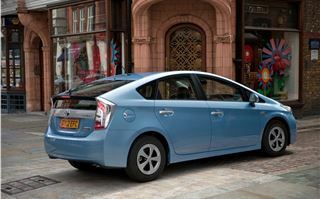 This has a much greater capacity and gives the Plug-in its longer range capability. Unfortunately the penalty for this is price – the Prius Plug-in is £27,895 and that's after the £5000 reduction care of the Government OLEV grant. 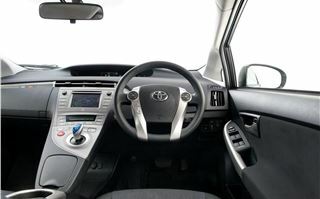 That much money does buy you the ‘top-spec’ Prius though, so there’s a lot of equipment, from cruise control to air-conditioning and the Touch&Go Plus infotainment system, which offers Bluetooth, sat nav and Google Local Search. There’s also a rearview camera, rain sensing wipers and heated front seats. 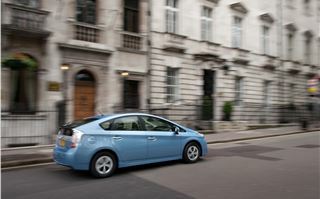 Whether people will choose the Prius Plug-in over a Vauxhall Ampera or similar will come down to personal preference. 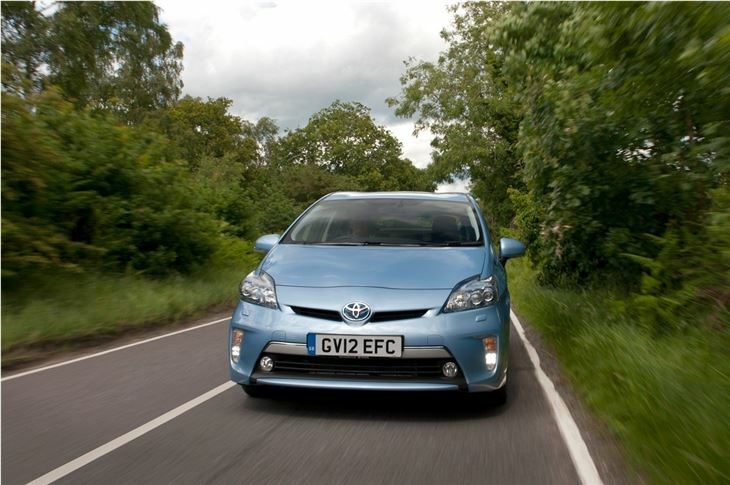 Toyota has an existing customer base of Prius owners and the underlying technology is well proven, having been tweaked and changed over three generations of the Prius.